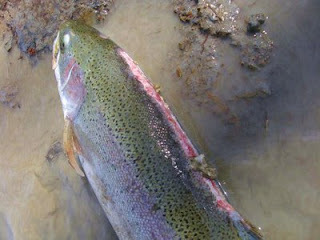 Here are some pictures of some nasty looking fish I've caught over the years. The one fish above looked like it swallowed a softball and barely put up a fight. I felt sorry for it when I beached it and pulled the hook out. I was debating whether I should put it out of its misery. Instead I released it and watched it struggled to swim off. 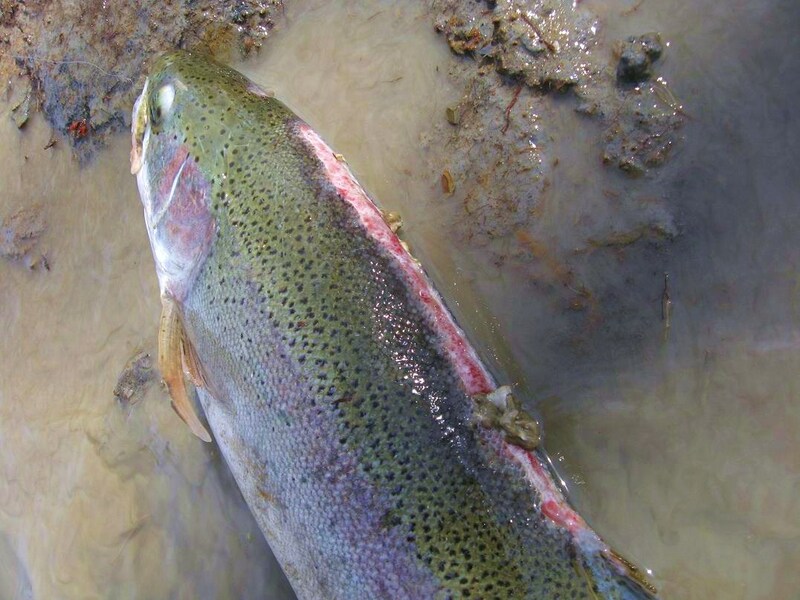 The other fish was actually fat and fiesty even though the bottom of his mouth as deformed. What caused it? I have no idea and I've wondered how these fish even survive let alone eat. Every year I catch a few fish sporting some gnarly lamprey wounds or scars. Caught this fish after ice out. 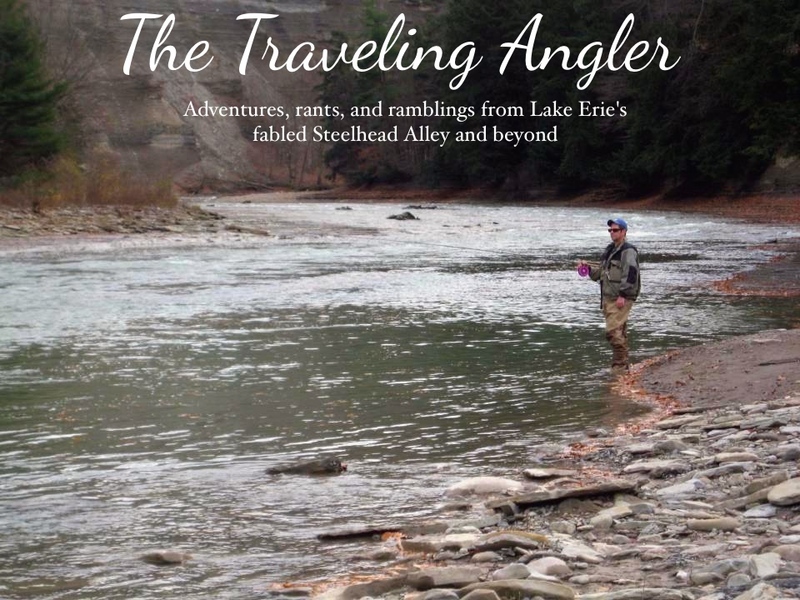 Steelhead can be vulnerable to getting injured or even killed by chunks of ice because most of streams along Steelhead Alley are very shallow. The wound pattern shows a narrow long cut the length of the back and it was caused by a sharp piece of ice. 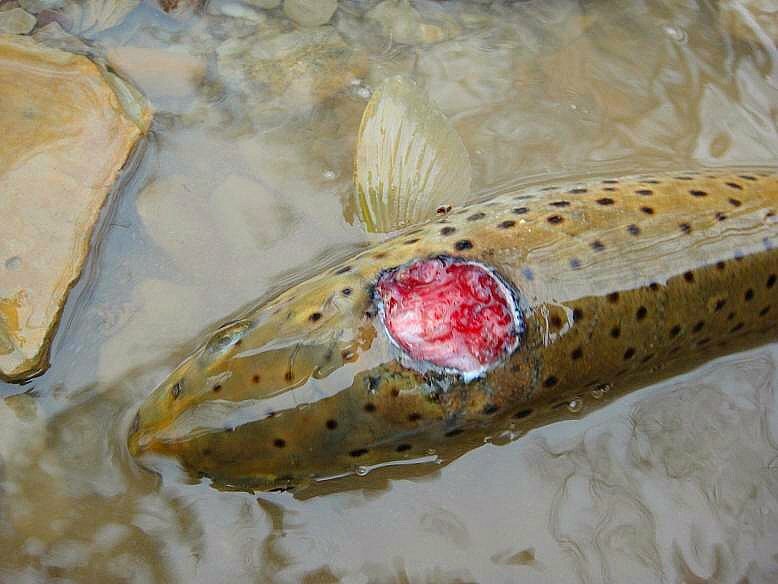 This little brown trout had what looks like a recent lamprey wound. It just shows you how tough these fish really are. That second fish looks like Morin. I hit the comment button frantically type "That second fish looks like Norland"! and the F*cker...Beat me to the press.